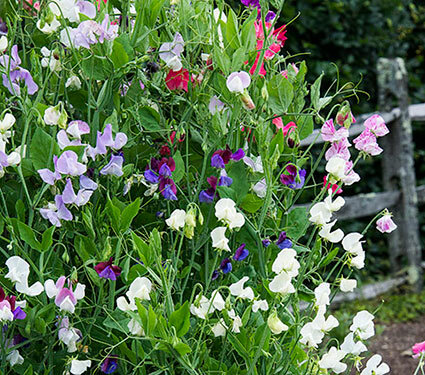 Hi, I’m Cheryl, the head gardener at White Flower Farm. Welcome to the latest addition to our display gardens here at the nursery, the native garden. 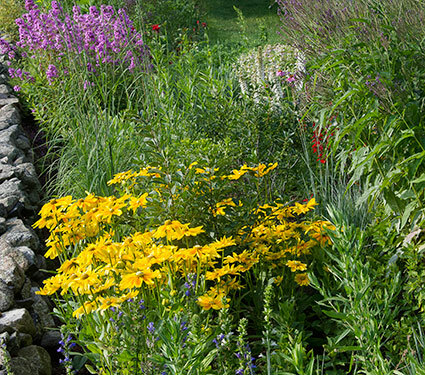 The cast of characters for this new garden is selected from the pool of plants that are native to our Connecticut region. 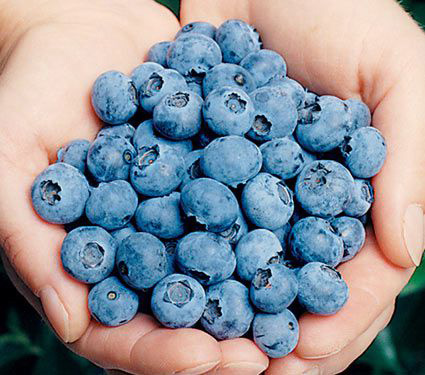 The purpose of this garden is to provide a safe and bountiful haven for our local birds, bees, butterflies and insects. My planning for this garden began last fall. The first step in my design process was lots of research. 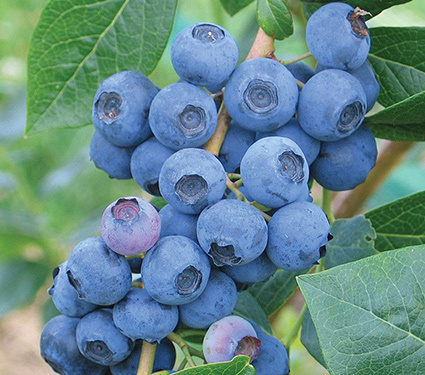 I came up with a list of native shrubs, perennials and grasses that I thought might work in my space, and using the maps in the plant database on the USDA website, I was able to determine if my chosen plants were native to Connecticut. After paring down my initial plant idea list, a final list began to take shape. 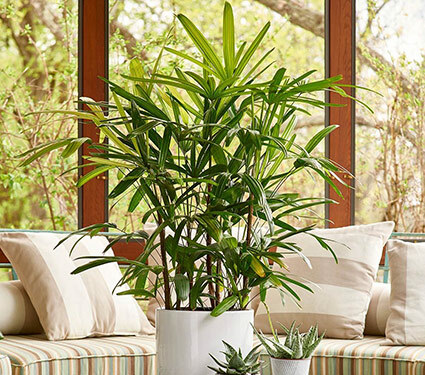 Working my way down that list, more research allowed me to fill in the specifics about each plant, such as its light requirements, mature height and width, flower color and bloom time, and most importantly, what role that plant played in sustaining wildlife. I also made note if the plant had an aesthetic attribute like showy fruit or outstanding fall color. Not only did I want the garden to be useful for wildlife, I also wanted to create a pretty garden. After collecting all the necessary details about each plant, I started to put the pieces of the garden together. I began with the shrub pieces to my puzzle, which created the structural bones of the garden, which could then be flushed out with perennials and grasses. 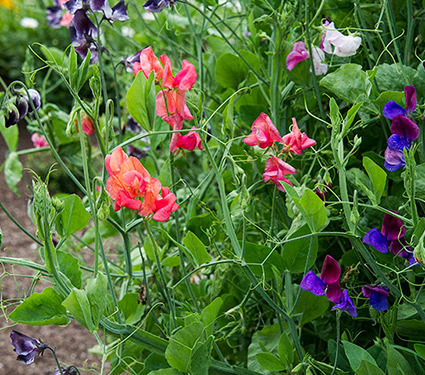 The first plants went into the ground in early May, with a few more subsequent waves of planting as the rest of the plants showed up and reported for duty. Much to my surprise my paper garden plan translated pretty well to the earth, as I only had to make a few minor adjustments in spacing as I laid out the plants. It doesn’t always go that smoothly. I’m pleased with the progress of the new garden this first season. The plants, for the most part, have settled in and have started to flourish. I’ve begun to make a few notes and a “to do” list that I think will improve the garden going forth. It seems I have a little too much Verbena hastata, and I need to replace some Eupatorium perfoliatum that never did quite establish. I still want to find some Coreopsis verticillata. The straight species is hard to source. In the meantime, Monarda punctata, a last-minute addition to the cast, fills in for the Coreopsis and the bees couldn’t be happier. 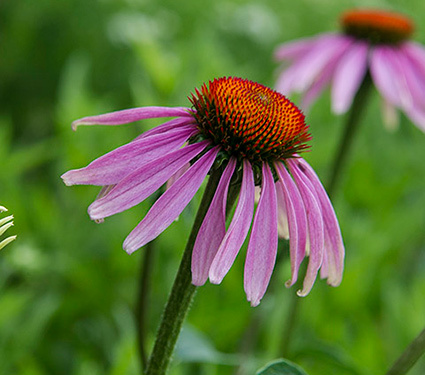 Why are native plants important? WIldlife and plants that share native habitats have co-evolved over time. 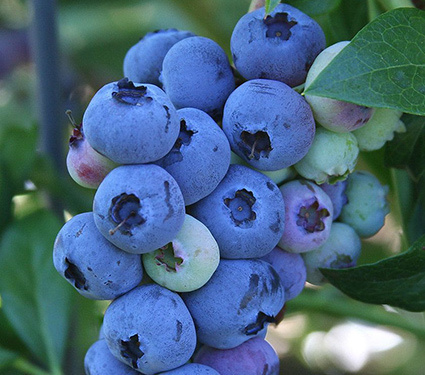 Native plants provide food and shelter for your resident birds and insect populations. Consider creating your own native garden, or popping in a few native plants into your existing garden. Your winged and feathered friends will be most grateful. 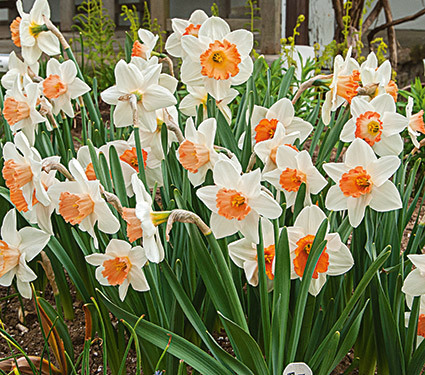 One of the best aspects of the minor bulbs is that they’re easy to plant. 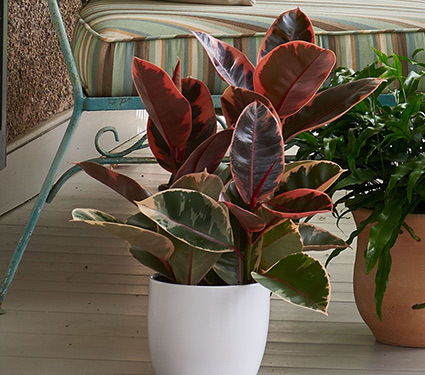 Just use a trowel or bulb planter and dig holes to the recommended depth. For very small bulbs you can even plant several in a single hole. 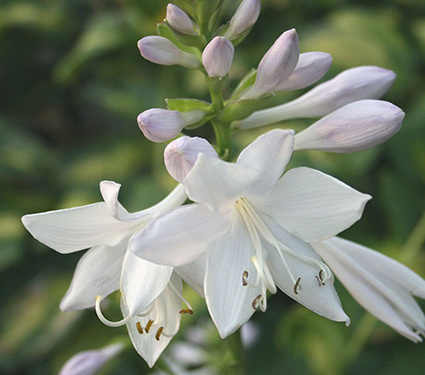 Take advantage of the low cost of minor bulbs and plant them en-masse to create a big impact. 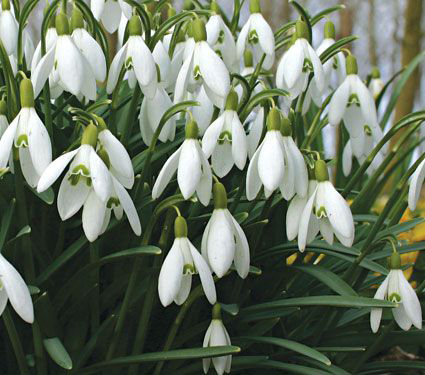 There are small bulbs that bloom during every part of spring, so you can enjoy a continuing show that starts with Snowdrops (Galanthus) in March and ends with Spanish Bluebells (Hyacinthoides hispanica) in June. 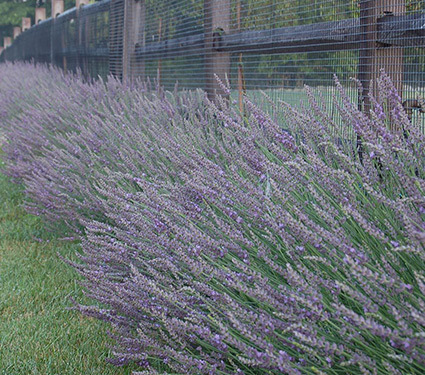 To foster a natural look, scatter bulbs in clusters rather than line them up in rows. 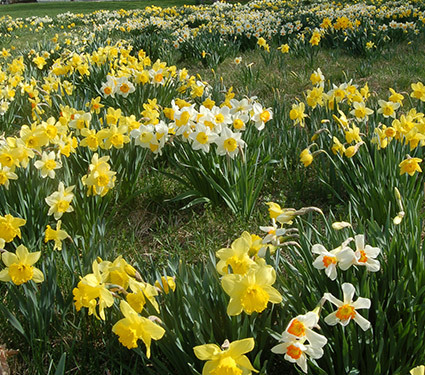 Many specialty bulbs will naturalize over time, increasing in numbers each year. Just make sure they have sufficient humus-rich soil and that they’re not competing with tree roots for nutrients. 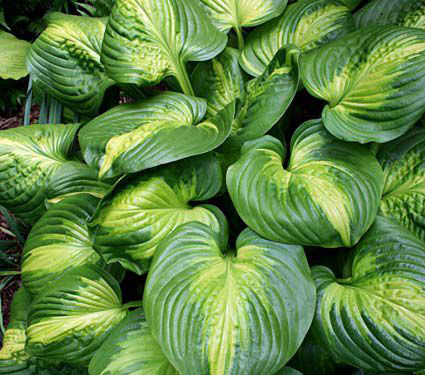 If you plant minor bulbs in lawn areas, refrain from mowing until the foliage has died down naturally. 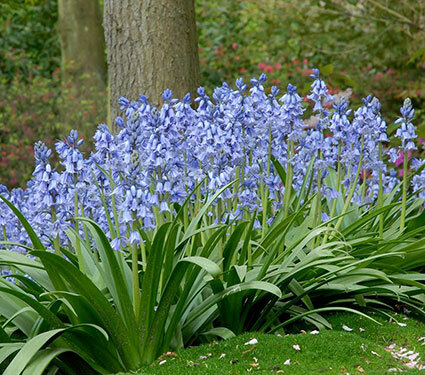 Woodland areas, rock gardens, and perennial beds are also ideal locations to naturalize small bulbs. 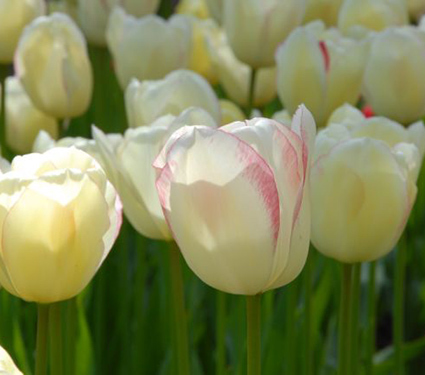 A little bulb fertilizer provides the nutrients necessary to keep bulbs performing well in the garden. 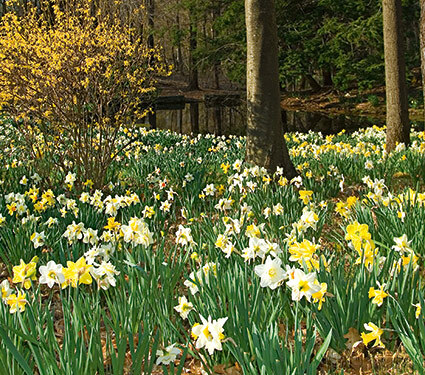 The best time to fertilize bulbs is in the fall when they are sending out new roots. The next best time is in early spring, just as the foliage begins to emerge. 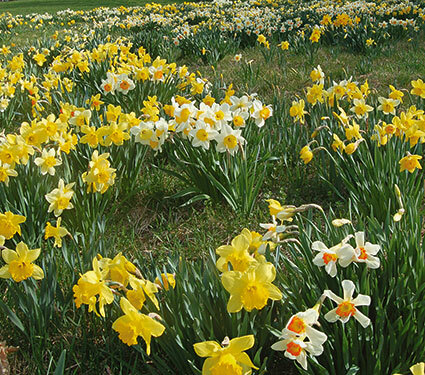 We recommend using a slow-release fertilizer formulated especially for bulbs, such as a granular Daffodil fertilizer. 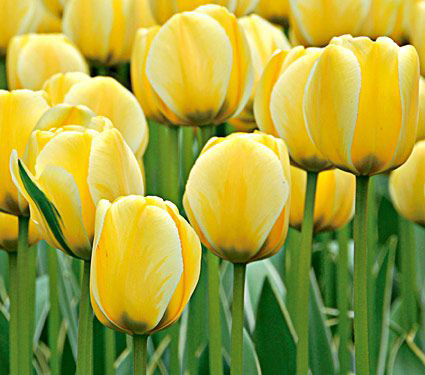 Simply apply the fertilizer to the surface of the soil above the bulbs after planting, and then every fall thereafter. We do not recommend using bone meal since it contains only one primary nutrient (phosphorous) and attracts dogs and rodents, which may dig up the bulbs. 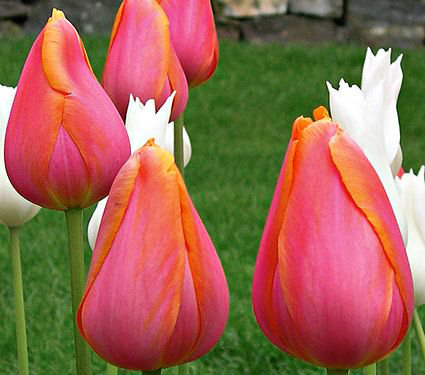 Plan to plant your bulbs soon after they arrive. 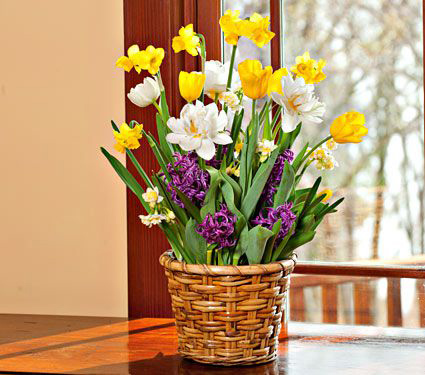 If you can’t plant right away, remove the bulbs from their packaging and keep them in a cool, dry space. Although you can plant bulbs until the ground freezes, it’s best to give them time to develop roots.